PQ DVD to iPod Video Converter converts DVD to iPod Video in 2 clicks, as well as Tivo2Go, DivX and other other popular video files to iPod. Super fast conversion speed with high quality plus advanced video editing features give you everything you need to turn iPod into a portable media center. Watch TVs, movies, home videos on the go. The best is getting better. Spyware Doctor is the most popular and professional anti-spyware software. Spyware Doctor is a top-rated malware & spyware removal utility that detects, deletes and protects your PC from thousands of potential spyware, adware, trojans, keyloggers, spybots and tracking threats. Power MP3 WMA Recorder makes high-quality recordings directly from your sound card. It can record streaming audio directly to MP3, WMA and OGG files, no tempory wav file involved, saving your hard disk life, and faster. Sound quality of the recordings. ImTOO iPod Movie Converter can convert movie to iPod, like AVI, MPEG, WMV, MOV, MP4, RM, RMVB, DivX, ASF, VOB, 3GP and etc. It helps you watch your music videos and movies on your iPod. It also can convert video to MP3 or extract audio to mp3. Registry Mechanic is an advanced registry cleaner that can safely clean and repair problems with your registry! Easily fix problems with the Windows registry that are a common cause of crashes and error messages. It uses a high-performance detection algorithm to quickly identify missing and invalid references in Windows registry. The PowerPack includes two products Flash DVD Ripper and AVI WMV MPEG Converter. Flash DVD Ripper can convert DVD to MPEG, AVI, VCD, SVCD, DivX etc. AVI WMV MPEG Converter can convert between popular video formats including MPEG, AVI, WMV, RM. It can convert from MPEG/AVI/WMV to MPEG/AVI/WMV/RM. Record voice from microphone, internet streaming audio, or music played by Winamp, Windows Media Player, Quick Time, Real Player, Flash, games, etc. It is able to automatically detect the recording formats that your sound card supports and then set the application's parameters for the best possible performance. The recordings can be saved as MP3, WAV, WMA, VQF and OGG files. It is a super and ease-to-use audio encoder/decoder. It directly converts audio format MP3, WAV, WMA, OGG from one format to another. You can resample your MP3, WAV, WMA and OGG files with MP3 WAV Converter. By the ID3 Editor built in you can edit the ID3 information for your created files. It supports rich options of MP3 encoder, WMA encoder and OGG encoder. Bit rate, Frequency, Channel, quality, CRC check, VBR check and so on may be custom in MP3, WAV, WMA and OGG settings dialog. Acoustica PowerPack includes: MP3 CD Burner ($24.95) + CD/DVD Label Maker ($21.95) + MP3 Audio Mixer ($24.95) + Rich Powell Super Set Art Pack ($10.00) + Chris Willis Super Set ($10.00) + Frankie Powell Sugar & Spice Art Pack ($10.00) + Travis Leonard Monster Pack ($10.00) + Audio Converter Pro ($34.95) + Mixcraft Recording Studio ($39.95) And 789 pieces of unique art exclusively designed for Acoustica CD/DVD Label Maker! Normally this would cost $186.75 This special bundle is 70% off! It is designed for converting the most popular audio formats MP3, WAV, WMA, and OGG from one format to another directly and quickly (no temporary files produced). If you want to convert MP3 to WAV, WAV to MP3, WAV to MP3 and so on, this is exactly what you are looking for. Print gorgeous CD & DVD labels and jewel cases! Try Acoustica CD / DVD Label Maker! Create your own CD/DVD labels and jewel cases with the ultimate in ease and flexibility! Get the label maker that automatically puts your track list on your CD/DVD label! Easily mix & edit sounds & MP3s! Try Acoustica MP3 Audio Mixer! Mix MP3s, record your own, set volume fades and pans via a simple graphical interface! Its your soup. Mix it well! Exports to RealAudio, MP3 and wave files. Very easy to use! Winner of many awards. Record LPs & tapes to CD & MP3. Remove noise & record clicks. Spin It Again can easily record your old vinyl records and cassettes to CD. recording and track dividing process child's play, clean your recordings by getting rid of click and pop record noise, or by removing hiss and hum off old cassette recordings. Mix, record & edit music, create pod casts, add effects and more! Mixcraft is a multitrack recording studio with effects, featuring Reverb, Delay/Echo, EQ, Compression, Flanger and Chorus, resonant filters and a powerful loop editor. The 32 bit sound engine supports broadcast WAV files and will even import MP3s & WMA files. Use it to record and remix. Save as an MP3, WMA or RealAudio file, or burn it to CD! Create custom drum loops and your own funky beats. Acoustica Beatcraft is an extremely powerful drum machine program! Beatcraft features an extensive library of top-quality, professional drum sounds, powerful sequencing and loop generation tools, and killer audio effects, all wrapped in a clean and comfortable interface with a 32 bit state-of-the-art sound engine. Convert to and from MP3, OGG, WMA & WAV files. 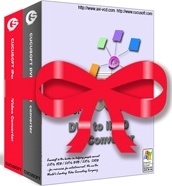 This converter will convert MP3, WAV, WMA, CDA & OGG files with just a right click! It seamlessly integrates into Windows. An integrated audio CD ripper is also included! Just right click on a CD track and rip or convert it to WAV, MP3, OGG or WMA! CD to MP3 Ripper converts audio CD to MP3, WAV, WMA, VQF, OGG. Convert Audio formats MP3, WAV, WMA, OGG from one format to another. It also supports four channels mode including Stereo, Join Stereo, Mono and Dual Channel.By changing MP3, WAV and WMA settings, you may make a choice between speed and quality.